Good morning everyone, hope you are well! I am here with my midway inspiration for you for our Sew What? challenge at A little bit Crafty. I used Papermania Sew lovely stash I got from a docrafts goody bag a few months ago to make a special card for my friend. I started with a die cut decoupage image and created my card around that. I covered the base of my card with a neutral paper, then added a bright red die cut circle which I cut in two and used on one side of my card. I then cut a border which I attached to the opposite side. I placed the decoupaged element over both sides, and added real vintage buttons from my own stash and felt under my sentiment to give it real depth and texture. I then added ribbon, and a vintage button as an embellishment. I covered the inside of the card with vibrant spool paper, then die cut a place for my message out of white stamping card with a Sizzix die. Thank you for looking and for all your lovely comments! Sarah Hurley 365 Favourite Things! Good evening everyone, hope you are well! I am here with my Sarah Hurley 365 project for our favourite things challenge. Of course my favourite things is butterflies so I used the Curio set to make my own charms for a necklace using printable shrink plastic, my crop a dile to make the holes and my jewellery stash-jump rings and a chain. Thank you for looking and for all your lovely comments! On to this challenge-as always our theme is ANYTHING GOES BUT NO CARDS! We love seeing what you've been up to, and hope it encourages you to think outside your comfort zone to pick up a new craft or use your stash in new ways to make gorgeous gifts for yourself and others! 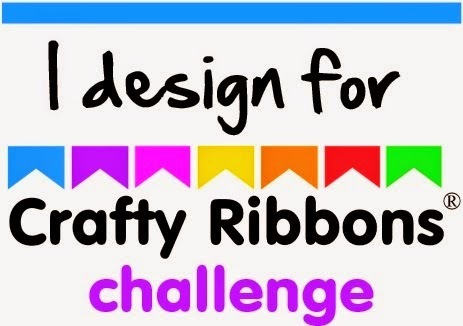 ;-) We have a tiny rule for you -please limit yourself to two of a certain kind of make each challenge-so you can make two tags for example, and then some other kinds of creations like jewellery, sewing or scrapbook pages. A Little Bit Crafty! Sew What? Good morning everyone. hope you are well! I am here with my 'Sew What?' creation for A little bit Crafty. We are sponsored by Whimsy stamps, Beads Direct and Blooming felt ltd so its well worth a go! I used Papermania Sew lovely stash I got from a goody bag a few months ago-and given the theme I added coordinating felt to give further texture. I made a panel for the heart with two colours of felt and two elements from the die cuts, then I made a panel on the base with felt behind it too. I stamped faux stitching around the edges, and added a border of paper and ribbon. Lastly I added two pinwheels to embellish the card. Inside the card I decorated with coordinating papers, and used a die cut panel for my message, cut with plain cream card with a nestie.